Today I going to add some details about my most enjoyable Project, The Tilbury Festivals. The last being in 2005. 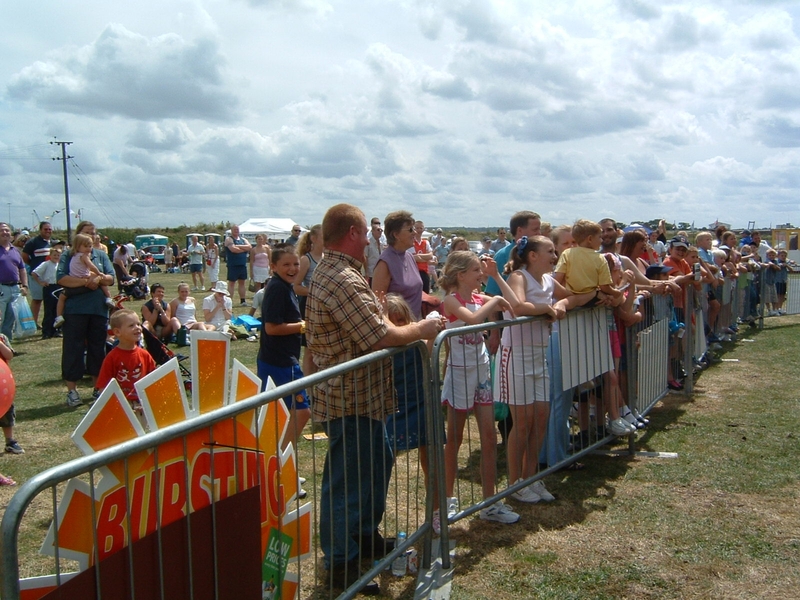 It took some convincing local Councillors and others that Tilbury could hold a festival second to none for the community to enjoy and be copied by the rest of the borough. I set to work by convincing the 999 committee that they should take a lead which thankfully they did. The next was to convince the Council officers and Councillors it could work. We needed a good site and with the support of the Horse owners, 22 acres of Council land alongside Fort Road became available. The festival was in the making. 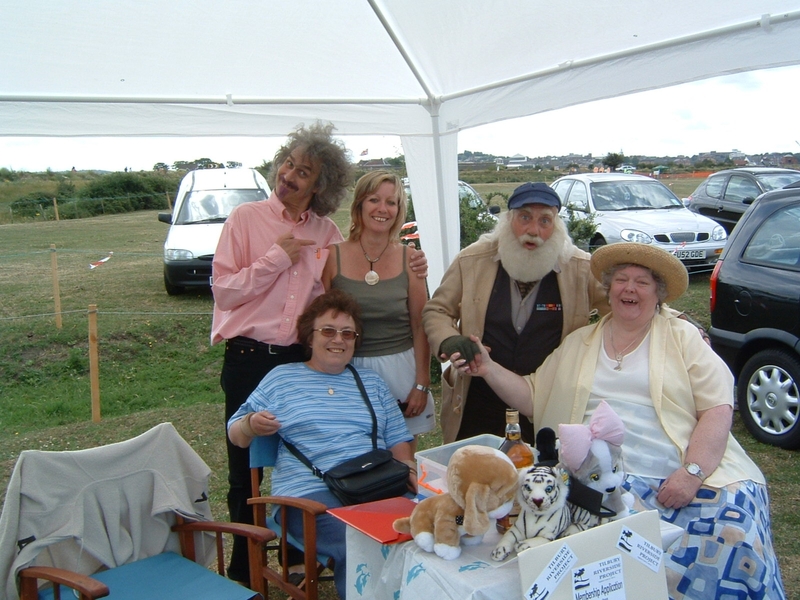 Working with The Tilbury Riverside Project a Voluntary organisation with their volunteers in partnership with Tilbury Power Station, Thurrock Council, Port of Tilbury, Cargil and the Power Station Sport and Social Club We started a journey. 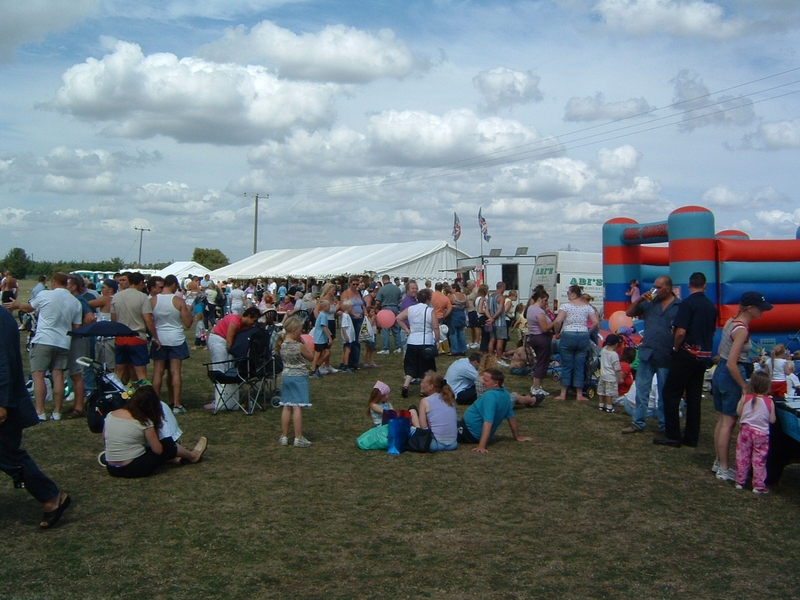 It was Decided to hold the event on a Sunday in July during the School holidays We had an Arena, stalls of all descriptions, Charles White and his fair. 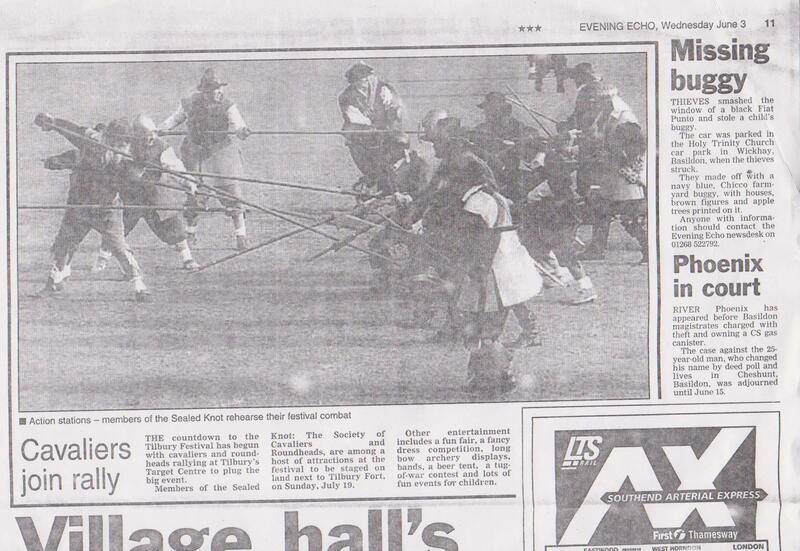 In the Arena over the years, we had Knights giving a display of Swordsmanship. The Essex Dog Display team, motorcycle display team, Sealed Knott, The knights of Arkley jousting on Horse back in Armour in high temperatures and The Red Tail Falconry Display Team. We had Dellboy and Grandad show with the little three wheeler on display It never rained and always Hot. 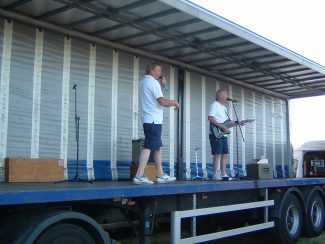 Morgan and Dean kept the crowds happy with their sound in pop music. Their was never any trouble in the beer tent. Everyone came to the Festival in July to enjoy themselves. Sadly when I became ill there was no one to take on the Festival and sadly it came to and end. 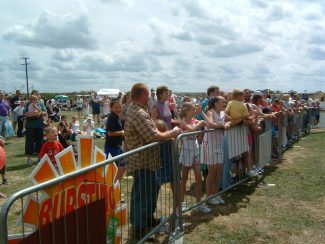 I miss standing on that field and watch the families walking over the Railway bridge coming to enjoy their Festival. The Team. The late Pat Moores, June Brown, Dave and Wendy Wright, Annie O’Brien (Formally Archer), Steve and Debbie Quick, Charles White, Lynne Worrall The buffs, Trevor Martin, Members of the Tilbury Power Station employee’s.. There were many who came in and played a role at different time. Essex police, Thurrock Council Whitehorse Ferries. many Fine People, friends schools,etc. I am sorry that I have not named all but I am sorry because without you the Town and all its residents the festival would not have happened. Thank you!!! !